Goal: to educate the reader about the Zoo’s residents in away that appeals to children; to challenge negative stereotypes. In this simple, cost-effective calendar, each creature speaks in the first person to immediately establish a personal connection with the reader. The animal describes facts about its breed, habitat and behavior. The objective is to picque interest in and instill respect for all animals. 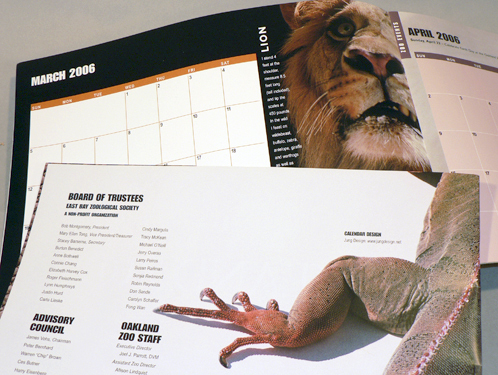 The calendar was distributed to donors, and sold in the on-site Zoo Gift Shop.